My brother in law Matthew Rudy was a victim of a road rage incident on December 19. He had just spent the day with his family and some of the officers from the Cheektowaga Police Department. 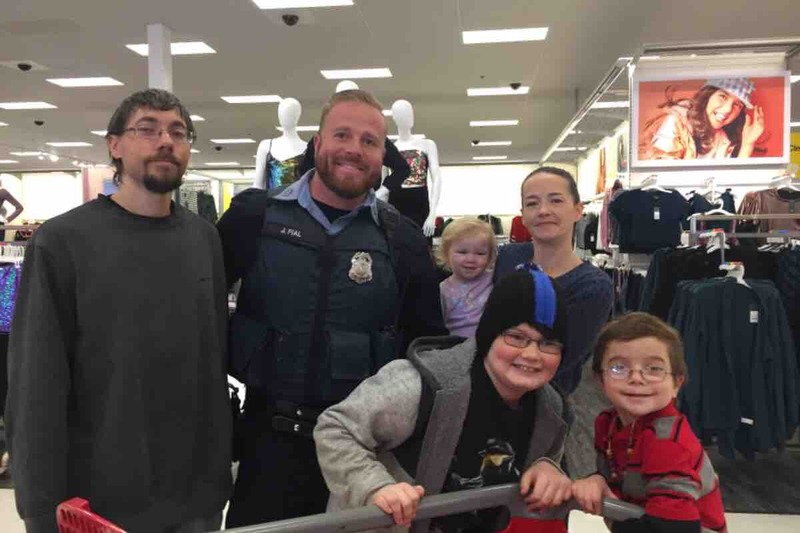 His children had been blessed to be part of the Police Departments Blue Mittens project where his 2 oldest, of 4, children where given a $250 gift card each to shop at Target along side an officer. Matt and his family had already been going through some difficult times and were very blessed to have been afforded this honor. Only hours later tragedy struck when on his way to work he was in the left lane at a red light next to a white car and as they started to go through, the white car starter to move over in on him. The car then sped ahead completed his move in front of Matt and stopped. The driver approached Matt’s truck and hit him, pulled him from his truck and punched him repeatedly in the face. Matthew has no memory of anything past the man approaching him until officers and medics were on scene. There were many witnesses to this incident and they do have someone currently in custody. Matthew has had surgery to repair shattered bones on the left side of his face, including a plate to support his eye. Matthew is the sole provider for a family of 6. He could be off work for weeks to months recovering. Please help support this family in their time of need. I would like to update you all on Matt’s condition so far. Thankfully he is no longer experiencing double vision and the swelling is mostly gone. He is having terrible headaches, neck pain and issues with his depth perception. The man who did this, Maurice Scott, was arraigned on Saturday on 2nd Degree Assault...which carries a sentence of 2-7 years if convicted. He was released Saturday after posting a $20,000 bond. The 2 women who just stood by watching have not yet been identified.